WorldSkills Champions Exchange - Wanted: Skilled workers, and fast! With thousands of employers in North America and abroad are finding it more and more difficult to find qualified skilled trades people, WorldSkills Champions are in very high demand. 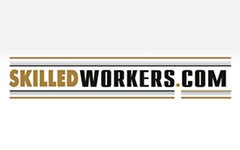 SkilledWorkers.com - an online community dedicated to skilled trades people and companies that hire them - works together with employers, recruiters and the Canadian government, SkilledWorkers to provide ‘the best career management and online job board service in the world’. WorldSkills Champions with skills in Transportation and Logistics, Construction & Building Technology and Manufacturing & Engineering Technology can apply direct to these companies such as Nasa, Boeing and Target using an online application service. Registering on the site doesn’t require submitting a CV, but once a WorldSkills Champion has uploaded his/her profile, they can then search SkilledWorkers’ International Job Board and find a job that interests them and apply direct. At the same time employers and recruiters are searching the site to find skilled young people like our WorldSkills Champions.